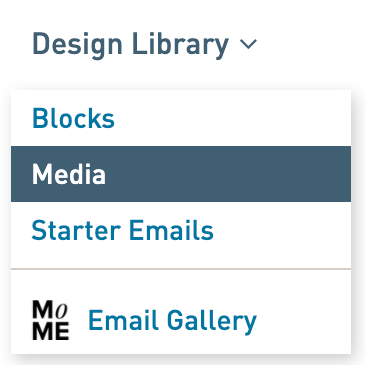 Copy the URL of your WordFly hosted media file from the Media library. 2. 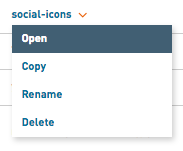 Click on a folder and select Open. 3. 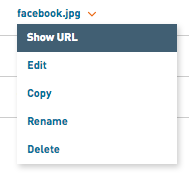 Click on an image name and select Show URL. 4. Copy the image URL from this page! The URL will appear in outlined box above the files and folders. Highlight the URL with your cursor. Select Copy (ctrl+C) from your keyboard. The image URL is now copied to the desktop. Paste it into the appropriate place in your code or into a notepad document for use in your template later on.